Where do all those wacky ideas come from…two squirrels high-fiving each other after a car barely misses running them over, the Hump Day Camel walking around the office, the Geico Gecko spouting queries with an English accent, an offended Caveman sulking or a pig in a blanket watching a football game? Consistency, continuity, the boss’s wife and a crazy sense of humor has helped keep GEICO in the top two rankings of insurance companies in the country for the past 20 years. Geico has had the same message for decades, “15 minutes will save you 15% on auto insurance,” they have also had the same advertising agency for decades, the same marketing staff and management for decades. Ted says that there might be a message in there, that longevity and a good branding message is the secret to their success. The early years of his career primed him for these experiences, Ted graduated from University of Virginia with a BA and got his Master’s Degree from William and Mary, then came to Washington to work for some of the top agencies in town before landing his dream job at GEICO. 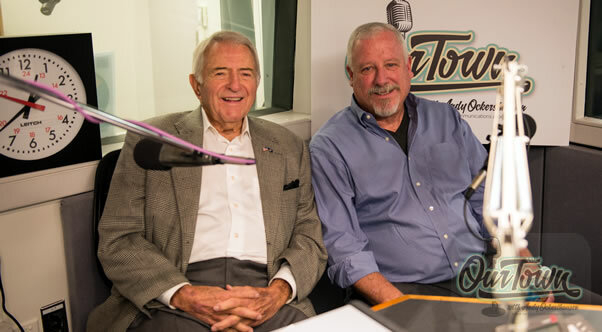 We hope you enjoy listening to Ted discuss his perspective about Our Town with host Andy Ockershausen. We invite you to listen to each new episode of Our Town as they roll out over the next several months. You can subscribe to the Our Town podcast on iTunes, Google Play, or if you complete the subscription form in the sidebar to the right you will be notified by email when the next episode appears here on the website.